A large body of literature has stressed the role played by citizenship status in the process of immigrant integration into the country of residence (e.g. Bauböck, 2006; Favell, 2003; Peters, Vink, & Schmeets, 2015). In particular, there is general agreement on citizenship status as an objective indicator of integration (e.g. Portes & Curtis, 1987; Yang, 1994). Citizenship status represents only one component of the entire integration process and it does not therefore necessarily imply the social acceptance of immigrants and their sense of belonging to the host society (Alba & Foner, 2016). However, by granting them the same status and rights as natives, citizenship status formally reduces the gap between the new and the original citizens, by creating parity between them, one of the main goals of the integration process (Vink, 2013). The acquisition of citizenship status in the new country of residence may depend on (1) the individual immigrant’s characteristics, such as demographic, human capital and the so-called ‘immigration’ variables (e.g. years since migration, age at arrival and reason for migration) (Amit, 2010), (2) the structural characteristics of both the origin and the destination countries and (3) institutional factors in the destination country. The last includes policy factors, specifically the national citizenship policies, which establish who is eligible for naturalisation (Peters et al., 2015). Although almost all European countries have shifted from a ‘nationalist’ to a more ‘multiculturalist’ citizenship policy, thus formally liberalising the access to citizenship rights (Joppke, 2008, 2010), in Europe the opportunities for obtaining citizenship status in the new country of residence are still quite limited for many immigrants and their descendants (Howard, 2005, 2009). For instance, it has become harder to be eligible for citizenship, because of the civic integration requirements for applicants, such as mandatory courses, tests and contracts (Wallace Goodman, 2012), whose implications have been recently much criticised (e.g. FitzGerald, Cook-Martín, García, & Arar, 2018; Neureiter, 2018). In addition, the conditions under which immigrants become naturalised citizens vary widely between countries. Indeed, there are many differences in policies on the right to citizenship in terms of the residence requirements for naturalisation, citizenship by birth, acceptance of dual citizenship and language requirements (e.g. Dronkers & Vink, 2010). These differences originate from structural variations in the implementation of policies and from attitudes towards immigrants, which mainly depend on a country’s experience of immigration and on the degree to which the phenomenon is accepted (Freeman, 1995). They have resulted in the institutionalisation of different integration regimes and thus in the development of the traditional national models of immigration and integration. As it will be noted in the next section, in the last two decades, countries have converged around policies of civic integration, which emphasise the importance of a knowledge of the language, the culture and the civic values of the host society for entry, residence and naturalisation of immigrants, making boundaries between national policies more blurred than in the past. However, I argue that, in combination with these recent policy developments, the traditional national immigration and integration models represent a heritage of paramount importance, which should not be overlooked when examining how both individual factors and policy factors affect the acquisition of citizenship status by immigrants in Europe (Reitz, Simon, & Laxer, 2017). Of course, the European convergence towards civic integration blurred the boundaries of the traditional national immigration and integration models. However, the interpretation of civic integration and the subsequent granting of residence and citizenship rights to foreign citizens is still not uniform but adapted to the different traditional models to which countries belong. The case of Italy is emblematic of this process, as will be disentangled in the ‘Discussion and conclusions’ section. In the light of the above considerations, the aim of this paper is to examine, through a logistic regression model with cluster-robust standard errors, the effect of both individual-level characteristics and measures of national citizenship policies on the likelihood of citizenship status amongst young and adult immigrants living in selected European countries, i.e. Belgium, France, Germany, Italy, Portugal and Spain, using data from the Immigrant Citizens Survey (ICS). Specifically, our research questions are as follows: Which factors influence immigrant citizenship status the most? Do national citizenship policies affect the citizenship status of immigrants living in European countries? Are the traditional national immigration and integration models helpful in interpreting the results? Compared to previous studies (the most recent and most comprehensive is Dronkers & Vink, 2012), I explore citizenship status amongst immigrants who are not born in the country of residence and who have acquired the citizenship after migration (therefore not at birth). I think that this is an innovative aspect whose results may have important policy implications for European host societies, in terms of the factors to take into account in order to influence the granting of citizenship rights to foreign populations, especially in a period of increase of populist and nationalist movements in Europe. The reminder of the paper is structured as follows. The second section describes the traditional national models of immigration and integration and the citizenship regimes in the six European countries; the third section presents an overview of the main individual factors and policy factors influencing citizenship status amongst immigrants. This is followed by a description of the data, measures and method in the third section and by the presentation of the main results of the analysis in the fifth section. Finally, the last section concludes the paper with a discussion on how the traditional national immigration and integration models may explain the research findings. The academic literature generally distinguishes between four traditional national immigration and integration models: the exclusionist model, the assimilationist model, the multiculturalist or pluralist model and the ‘new’ immigration countries model or Southern European model (e.g. Koopmans & Statham, 1999; Peixoto et al., 2012). The exclusionist integration model (Germany and Austria) mainly considers migration as a short-term phenomenon and, in particular, as a means of meeting short-term labour demands (Gastarbeiter). Countries fitting this model are fairly averse to permanent settlement, family reunification and immigrant naturalisation. An ethnic understanding of nationhood is at the core of citizenship rights, and consequently these are granted according to the principle of ius sanguinis. For instance, the German Nationality Act of 1999, but entered into force in 2000, introduced citizenship at birth for those born in Germany, if at least one parent has a permanent residence permit and has been residing in Germany for at least 8 years (8 years are also required for first-generation immigrants to naturalise—with the 1913 Law, 15 years were needed). However, children have to renounce to their parents’ nationality and to make the decision between the age of 18 and 23 (Green, 2005). This is called ‘optional model’ and implies that if the applicant declares an intention to keep German citizenship, he or she is obliged to prove the loss or renouncement of the foreign nationality; otherwise, if the applicant does not declare anything on reaching the age of 18, he or she will lose his or her German nationality (Hailbronner & Farahat, 2015). The Immigration Act of 2004 introduced integration requirements, making the right to naturalisation dependent upon a proof of sufficient knowledge of the German language. In addition, successful attendance at an integration course, consisting of a language course and a course on the German history and the political system, reduces the required time of lawful residence for naturalisation from 8 to 7 years. However, it facilitated the dual citizenship for European Union (EU) citizens and worsened that for non-EU ones (Palmowski, 2008). The 2007 reform of Nationality Law established that the sufficient knowledge of the German language can be provided through a language certificate (level B) (Hailbronner & Farahat, 2015). The successful attendance at an integration course reduces the required time of lawful residence for naturalisation from 8 to 7 years. Spouses of foreign residents coming from Islamic countries are asked to prove the necessary evidence of basic German skills through pre-entry tests. The 2014 reform established that the ‘option duty’ will be waived for children of immigrants born in Germany who have either 8 years of residence before turning 21, or have attended a German school for at least 6 years. Only children who have not been raised in Germany are subject to the ‘option duty’. Therefore, the revisited German citizenship law has retained the ‘option duty’ as a general principle (Hailbronner & Farahat, 2015). According to the assimilationist model (France and Belgium), immigrants are primarily expected to integrate into the host country as individuals and they are, therefore, asked to accept and sincerely adopt the culture and values of their new country of residence. Consequently, as it is a recognisable sign of equality with mainstream society (a reduction of differences), citizenship status is relatively easy to acquire. It is based on a civic and territorial understanding of nationhood and therefore on a mixture of ius sanguinis and ius soli. For instance, children born to foreign parents in France automatically become French when they reach 18 years old if they have resided in France for the last 5 years (Weil, 2005). However, at the beginning of the 2000s, the limits of the assimilationist paradigm in integrating immigrants and their descendants were highlighted by several incidents, such as the rioting of young immigrants living in France, and this led to a shift towards anti-discrimination policies in France (Bertossi, 2007; Escafré-Dublet, 2014). The rationale behind anti-discrimination policies is to ease the burden on the immigrant to integrate into the host society, by making institutions, such as schools and the labour market, more responsible for immigrant integration, trying to guarantee them equity and emancipation within mainstream society. Moreover, from 2007 onwards, immigrants have had to learn French and demonstrate their knowledge of French laws, signing the ‘Contrat d’accueil et de l’intégration’, in order to request a renewal of their permit of stay and the issuing of a permanent residency permit. However, these policies have not led to the adoption of broader multiculturalism, which still appears to be quite a long way from the French method of immigrant integration (Lépinard & Simon, 2009). The ban on religious symbols in public buildings and the recent decrees against the use of full-body bathing suits (‘burkini’) at the seaside, which have been issued by 15 French municipalities, are two examples of how anti-discrimination policies are strongly preserving the principle of secularism (laïcité) alongside assimilationism. With 5 years of uninterrupted residence, the acquisition of citizenship (so-called ‘by declaration’) for first-generation immigrants is quite easy in Belgium, as in France. This is because the access to citizenship is considered functional to the process of assimilation into the host country. As far as second-generation immigrants, children born in Belgium of a Belgian parent and children born abroad of a Belgian parent (provided the latter was himself or herself born in Belgium), are considered Belgian, from the age of 18. If both child and parent were born abroad, the parent must make a statement before the child reaches the age of five, requesting that Belgian citizenship be granted to the child (Foblets, Yanasmayan, & Wautelet, 2013). In Belgium, integration has been a community competence since the 1980s; therefore, policies are different between Wallonia, Flanders and the Region of Brussels. In the last 10 years, Flanders have been developing civic integration policies with the ‘Citizenisation’ policy, which, through an ‘Integration Programme’, encourages the learning of the Flemish language, values and norms amongst immigrants. ‘Integration Programmes’ are compulsory for immigrants of 18 years and over who are registered in the National Register, are living in a Flemish city and hold a first permit of stay of more than 3 months. The knowledge of one of the three national languages is considered a requirement for being socially and economically integrated and therefore to obtain the citizenship rights. At the core of multiculturalism (Britain, the Netherlands and Sweden), there is the idea that ethnic minorities’ identity, culture, language and religion should be preserved and enhanced. Therefore, countries adopting multiculturalist policies tend to promote ethnic particularisms rather than absorbing them into the majority group through assimilation. However, citizenship rights are based on a combination of both ius sanguinis and ius soli. For instance, the Dutch Citizenship Act of 1985 established that citizenship could be granted to immigrants after 5 years of legal residence, and to children at the age of 18 if they had lived in the Netherlands continuously since they were born. However, in 1998, the Netherlands introduced the ‘Newcomer Integration Law’, which established that non-EU and non-Switzerland immigrants applying for a permanent residence permit and immigrants applying for citizenship have to follow 600 h of language, civic and labour market courses and to pass a civic test. Language and civic knowledges are asked to family immigrants and immigrants who planned to permanently reside in the Netherlands before leaving their country of origin, according to the so-called principle of ‘integration from abroad’ (Paparusso, 2016). The ‘new’ immigration countries model, or the Southern European model (Italy, Greece, Portugal and Spain), is characterised by a relatively recent immigration history, if compared to historical immigration countries, such as France, Germany and Britain: mainly emigration countries until the mid-1970s, the Southern European countries started to receive mass immigration in the 1990s (Freeman, 1995). Some common features, as far as the management of migration inflows is concerned, characterise the countries embedded in this model. In particular, one can observe a lack of selective immigration policies, a large underground economy attracting undocumented immigrants, a strong segmentation of the labour market and the use of ex post instruments to provide a legal status to immigrants, such as regularizations, quota systems and flow decrees. To sum up, the main common characteristics of this model are (a) the timing and the size of inflows, (b) the reasons for and the modes of entry and (c) the distinctive manner of integration into the local labour market (Arango & Finotelli, 2009; King, Lazaridis, & Tsardanidis, 2000). Countries fitting this model show some notable differences, especially when citizenship policies are considered. For instance, the Italian citizenship policy is mainly based on ius sanguinis: Italian-born foreign nationals under the age of 18 can apply for citizenship within 1 year of turning 18 (Law n. 91/1992). On this regard, a reform of the citizenship law, aimed at granting citizenship to children born in Italy from foreign parents of which at least one holds the EU long-term residence permit (ius soli) and to children arrived in Italy within 12 years of age and attended at least 5 years of school in Italy (ius culturae), has been rejected in 2017 by the Senate of the Republic. On the other hand, Portugal and Spain tend to combine elements of ius soli and ius sanguinis, through the introduction of rather lower residency requirements for immigrants to meet in order that their children acquire new citizenship status. For instance, children born in a Portuguese territory to non-Portuguese parents may obtain citizenship rights if their parents have resided in Portugal for 5 years, or if they have completed primary school education in Portugal (Piçarra & Gil, 2012). To sum up and focusing only on the countries covered by this study—i.e. Belgium, France, Germany, Italy, Portugal and Spain—in Belgium and France, 5 years of lawful residence are required to first-generation immigrants to be naturalised. Children born to foreign parents in France automatically become French when they reach 18 years old, if they have resided in France for the last 5 years, whilst in Belgium, children born in Belgium or abroad of a Belgian parent are considered Belgian. In Germany, 8 years of residence are needed for first-generation immigrants to be naturalised; children of immigrants born in Germany who either have 8 years of residence before turning 21, or have attended a German school for at least 6 years, can become German. Only children who have not been raised in Germany are subject to the ‘option duty’: they have to declare their intention to keep German citizenship and to renounce to the nationality of origin. In Italy, non-EU, first-generation immigrants need 10 years of uninterrupted residence to be naturalised (EU, first-generation immigrants only need 4 years). Italian-born foreign nationals under the age of 18 can apply for citizenship within 1 year of turning 18. In Spain, first-generation immigrants who intend to acquire Spanish citizenship require 10 years of residence, whereas in Portugal, 6 years are needed. Both countries allow some nationalities coming from former colonies to easily acquire citizenship without losing citizenship of their country of birth (only after 2 years of uninterrupted legal residence for Spain). The access to citizenship for second-generation immigrants is regulated by the principle of ius sanguinis in both Spain and Portugal. Dual citizenship for first-generation immigrants is tolerated in all the countries considered by this study with the exception of Germany, where the ‘option duty’ is considered the rule, albeit with some exceptions that mainly concern EU foreign citizens. Table 1 provides the most important current citizenship law in the six selected countries and the eligible persons to citizenship by residence and by birth. By residence: foreign citizens if residing in Belgium at least 5 years. Sufficient knowledge of one of the three national languages should be provided. By birth: children born in Belgium of a Belgian parent and children born abroad of a Belgian parent. If both child and parent were born abroad, the parent must make a statement before the child reaches the age of 5 requesting that Belgian citizenship be granted to the child. By residence: foreign citizens if residing in France at least 5 years. Language skills and understanding of rights and responsibilities of a French citizen have to be demonstrated. By birth: children born in France to at least one parent who is also born in France. A child born in France to foreign parents may acquire French citizenship at 18, if residing in France at least 5 years since the age of 11. By residence: foreign citizens if residing in Germany at least 8 years. Sufficient knowledge of German language should be provided. The successful attendance at an integration course reduces the required time of lawful residence for naturalisation from 8 to 7 years. By birth: children born in Germany who have either 8 years of residence before turning 21, or have attended a German school for at least 6 years. Children who have not been raised in Germany are subject to the ‘option duty’: if they do not declare an intention to keep German citizenship on reaching the age of 18, they will lose the German nationality. By residence: EU citizens if residing in Italy at least 4 years; stateless citizens if residing in Italy at least 5 years; non-EU citizens if residing in Italy at least 10 years. By birth: legal Italian residents until the age of 18 can apply within 1 year of turning 18. By residence: foreign citizens if residing in Portugal at least 6 years. Sufficient knowledge of the Portuguese language and effective links to the national community are required. By birth: children of a Portuguese parent who was born on Portuguese territory or children born in a Portuguese territory of non-Portuguese parents if the latter have resided in Portugal for 5 years. By residence: foreign citizens if residing in Spain at least 8 years; foreign citizens coming from one of the Spanish former colonies if residing in Spain at least 2 years. By birth: children born of a Spanish parent or children born in Spain of foreign parent who was also born in Spain. Joppke (2010) explored the theoretical aspects of citizenship and immigration, specifically those aspects of citizenship pertaining to immigration. He found that citizenship entails status, formal membership of the state, rights, the set of rights, which distinguish citizens from residents, and identity, the ensemble of values, which link individuals to the political community. These elements, which offer a measure of the degree immigrants are incorporated into the host society (Bloemraad, Korteweg, & Yurdakul, 2008), can depend on either individual factors or policy factors. At an individual level, international literature (e.g. Dronkers & Vink, 2010; Piché, 2004; Yang, 1994) has highlighted that demographic, human capital and ‘immigration’ variables are key factors in explaining citizenship status amongst immigrants in the new country of residence. Specifically, as far as the demographic variables are concerned, age has a positive effect on the acquisition of citizenship status: the older immigrants are, the more likely they are to have citizenship status in the country of residence. Females are more likely to acquire new citizenship status, as naturalisation implies long-term settlement abroad and this represents a form of emancipation from their country of origin and its rules (Dronkers & Vink, 2010). Marital status is a significant predictor of citizenship status amongst immigrants (Yang, 1994). To be specific, higher family stability increases the probability of having citizenship status for two reasons. Firstly, family stability is linked to the immigrants’ length of residence in the new country of residence. As shown below, this is considered an important requirement by all naturalisation laws (in combination with other factors, such as evidence of social and economic integration and knowledge of the national language). Secondly, spouses and children benefit more from a long duration of residence and stabilisation in the host society than do immigrants without such a family status in the country of residence, because of the possibility of family reunification and naturalisation. Human capital represents an essential condition for positive incorporation into the host society and it constitutes a fundamental starting point for succeeding in the labour market (Schneider & Crul, 2010). In this regard, evidence shows that education improves the socio-economic status and occupational attainment of immigrants and their descendants (Di Bartolomeo, 2011), so increasing their probability of being naturalised (e.g. Koopmans, 2016). Moreover, as much importance has recently been attached to a knowledge of the language and civic values of the country of residence (being new requirements, which applicants for citizenship have to meet (Joppke, 2012)), educational achievement appears to increase an immigrant’s chances of obtaining citizenship status in the new country of residence. Thus, highly educated immigrants would be expected to be more likely to have citizenship status than less-educated immigrants. Moreover, economic and financial conditions have a significant effect on citizenship status amongst immigrants: the more stable an immigrant’s labour and financial conditions, the higher the likelihood the immigrant will have citizenship status in the new country of residence. At the same time, the acquisition of citizenship status can be interpreted as a way of improving the stabilisation of immigrants, their labour opportunities in the country of residence and chances of mobility (Massey, Durand, & Pren, 2015), especially in times of economic recession. Finally, an immigrant’s area of origin and the linkages arising, for instance, from colonial and post-colonial links between the countries of origin and residence, can influence the acquisition of citizenship status (Cesareo & Blangiardo, 2009; Yang, 1994). The case of Filipinos and Latin Americans living in Spain or in Portugal is one example (Tran, 2017). As regards the ‘immigration’ variables, the number of years an immigrant spends in the country of residence increases their likelihood of being naturalised (Piché, 2004). Immigrants with a longer duration of residence are less likely to be excluded or discriminated against at a social and economic level, and they are generally more likely to have established a solid relationship with the host society. As regards the time of arrival in the country of residence, it is generally acknowledged (e.g. Alba & Nee, 2003; Portes & Rumbaut, 2001) that the age on arrival or the immigrant generation influence the cultural, political and socio-economic assimilation of immigrants. Specifically, immigrants who migrate at a younger age, and therefore socialise in the country of residence, will have more opportunities for better integration than those who migrate at an older age, especially in terms of language proficiency, educational attainment, labour opportunities and household income (e.g. Rumbaut, 1997). Status on entry to the country of residence, which can be considered as a proxy for the reason for migration or the migration channel, is a predictor of the likelihood an immigrant will be naturalised in the country of residence. In particular, it can predict the likelihood of permanent residence and the likelihood that they will participate in the labour market of the host society in the long term, thus influencing the immigrant’s integration and incorporation into the host society. In sum, higher education, economic status, perceived financial well-being and duration of residence appear to increase the likelihood of young and adult immigrants having citizenship status, as they are indicators of assimilation into the country of residence. However, such factors, though important, only constitute some of the elements of the more comprehensive issue of immigrant citizenship status in Europe. National citizenship policies, which establish the rules for obtaining citizenship status in the country of residence, are fundamental for completing this picture. In particular, international literature (e.g. Bauböck & Helbling, 2011) has highlighted that the residence requirement for naturalisation, toleration of dual citizenship and policy outcomes, such as the naturalisation rate and the proportion of foreign citizens (resident population with citizenship of a foreign country), can affect access to citizenship status. In particular, a higher number of years of residence required for naturalisation can decrease the likelihood that immigrants will have citizenship status in the new country of residence. As an indicator of the degree of inclusiveness of the immigrant’s receiving country and the permeability of its material and immaterial boundaries (Howard, 2005), toleration of dual citizenship, i.e. the possibility that naturalised citizens can retain their native citizenship, appears to favour citizenship status amongst newcomers, since it does not change their sense of belonging to their country of origin. Moreover, as claimed by Howard (2009), the naturalisation rate, which measures the ratio between the yearly number of naturalisations and the number of foreign citizens living in a country, can depend on both the naturalisation policy and on foreign citizen demand, which I believe to be mutually dependent. Thus, the higher the naturalisation rate, the higher the likelihood that immigrants will have citizenship status in their new country of residence. Finally, in contrast to the detrimental effect of a high proportion of foreign citizens on the immigrant integration process, as found by Cesareo and Blangiardo (2009), I would argue that the proportion of foreign citizens living in a country may influence citizenship status amongst immigrants positively, since it indicates openness and an inclination of the host society to welcome newcomers and potential new citizens. The proportion of foreign citizens in a country may depend on several factors, the combination of which may result in a large foreign population; therefore, all things being equal, the host country may promote a legislation that recognises its immigrants as permanent residents and then citizens. These considerations become even truer if only non-EU foreign citizens are considered. Non-EU citizens are more culturally distant and, therefore, more difficult to be integrated, compared to EU citizens. Moreover, the latter benefit from the free circulation regime in the Schengen area and from an easier access to citizenship rights in some European immigration countries, compared to the former. Individual-level data come from the Immigrant Citizens Survey (ICS), conducted by the King Baudouin Foundation and the Migration Policy Group, from October 2011 to January 2012. Seven thousand four hundred sixty-eight immigrants were surveyed in the following countries and cities: Belgium (Antwerp, Brussels and Liège), France (Lyon and Paris), Germany (Berlin and Stuttgart), Hungary (Budapest), Italy (Milan and Naples), Portugal (Faro, Lisbon and Setubal) and Spain (Barcelona and Madrid). However, Hungary was omitted from the sample because it cannot easily be set within one of the four traditional national immigration and integration models; the dataset was therefore reduced to 6255 individuals. The ICS survey is aimed at those not born in the country of residence (although immigrated as minors), those who are or were non-EU citizens or stateless persons (born as citizen of country other than EU/EEA countries or Switzerland), those who have been living in the country for more than a year, those holding or renewing legal immigrant status and being 15 years of age or older. The survey deals with the following topics: employment, languages, civic and political participation, family reunion, long-term residence and citizenship. Country-level data come from a systematic review of national citizenship policies, academic literature and the Eurostat database. The key dependent variable is nationality, which is a dummy variable where 1 indicates the respondent has citizenship status in the country of residence and 0 indicates that they do not. From the previous literature, I selected the following demographic variables as individual-level independent measures: (a) respondents’ age, measured in years; (b) gender, represented by the dummy variable male (reference category) and female; (c) marital status, distinguishing between ‘legally married or in civil union’ (reference category), ‘legally separated, divorced or dissolved civil union’, ‘living with a partner’, ‘widowed or civil partner deceased’ and ‘single’; (d) area of origin, distinguishing between ‘Asia’ (reference category), ‘Eastern Europe’, ‘Latin America’, ‘Middle East’, ‘North Africa’ and ‘Sub-Saharan Africa’ and finally (e) former colony, measured by a dummy variable (0/1) indicating whether the respondent’s country of origin is a former colony of his/her new country of residence (for instance, the Spanish-speaking countries of Latin America for Spain, and Brazil for Portugal) or not (reference category). As regards the human capital variables, I selected the following: (f) current economic situation, distinguishing between ‘in paid work’ (reference category), ‘in education’, ‘unemployed’, ‘retired, sick or disabled’ and ‘homemaker or other’; (g) perceived financial well-being, distinguishing between ‘comfortable’ (reference category), ‘sufficient’, ‘difficult’ and ‘very difficult’ and finally (h) educational attainment, referring to the number of years spent in education.1 As ‘immigration’ variables, I selected firstly, (i) years since migration, referring to the number of years lived in the country of residence, measured by the difference between the year of the interview and the year of arrival in the country of residence. Secondly, (l) status on entry, distinguishing between ‘work or study’ (reference category), ‘family reunion’, ‘permanent-long term’, ‘humanitarian’, ‘other legal status’ and ‘other illegal status’. Thirdly, (m) respondents’ immigrant generation, distinguishing between the first (reference category) and 1.5. To be precise, first generation means those who migrated at 18 and over years of age, whilst 1.5 generation includes those who migrated at under 18 years of age, according to a simplified version of the definition given by Rumbaut (1997). As shown in Table 2, the proportion of immigrants holding citizenship status in the country of residence varies widely between countries, with Belgium and France being the most favourable for the granting of citizenship status to immigrants and Italy being the least favourable. The definitions of the independent individual-level measures along with their percentage, mean and standard deviation are reported in Table 3. They help to shed light on the respondents’ individual characteristics. The average age of immigrants residing in Belgium, France, Germany, Italy, Portugal and Spain is 38.2 years. Females represent 51.2%. Whilst most of the immigrants are married (52.1%), 29.7% are single; 7.9% are legally separated, divorced or have had a civil union dissolved; 6.9% are living with their partner and 2.7% are widowed. As regards the area of origin, 22.6% of immigrants come from Latin America, 16.6% from Eastern Europe, 18.6% from Sub-Saharan Africa, 16.6% from North Africa, 13.1% from Asia and 11.6% from the Middle East. It is interesting to note that 38% of the respondents’ countries of origin were former colonies of their new countries of residence. As for their current economic situation, 57.9% have paid work, 19.1% are unemployed, 9.8% are in education, 7.2% are homemakers or other and 5.3% are retired, sick or disabled. Regarding their financial well-being, 14.9% of the respondents are comfortably well-off, 45.5% sufficiently so, 25.4% are in difficult financial circumstances and 12.9% very difficult. Educational attainment is quite high, equal to 10.7 years of education on average. When immigration variables are considered, the number of years since migration is on average 13.8. On average, three out of four respondents are first-generation immigrants, whilst one in four is from the 1.5 generation. Moreover, the respondents entered the country of residence with the following status: 32.5% work or study, 27.9% family reunion, 8.3% permanent-long term, 11.9% humanitarian, 12% another legal status and 4.2% other illegal status. I identified four measures of national citizenship policies consistent with the aspects of national citizenship policy discussed above. Firstly, the residence requirement for naturalisation, a discrete variable, which measures the number of years foreign citizens require for naturalisation in the new country of residence. Since the variable assumes only four values (5, 6, 8 and 10), it has been made dichotomous: it takes value 1 if the number of years required for naturalisation is equal to 5 or 6 and value 2 if the number of years required for naturalisation is equal to 8 or 10. Secondly, toleration of dual citizenship, a dichotomous variable indicating whether or not foreign citizens acquiring citizenship rights in the new country of residence can keep their previous citizenship. Third, the naturalisation rate, the ratio between the yearly number of naturalisations and the number of foreign citizens in a country (Eurostat online database). Finally, the proportion of foreign citizens, a continuous variable measuring the number of foreign citizens as a percentage of the total resident population (Eurostat online database). Although it represents one of the key aspects of national citizenship policies, the variable citizenship by birth, which measures whether or not children born to parents with foreign citizenship automatically receive citizenship rights in the country of their birth, has not been taken into account, since the focus of this analysis are the young and adult immigrants who were not born in their country of residence. Finally, civic integration has also been considered, but it was not statistically significant. In particular, I used the CIVIX index, developed by Wallace Goodman (2014). It is based on three target civic knowledge areas (country knowledge, language and values) in the EU–15, and it goes from 0 to 6, where 0 means low civic integration requirements and 6 high civic integration requirements. Table 4 shows detailed values for these policy variables. The four country-level measures considered in the empirical analysis reflect the individual-level data and therefore refer to people not born in the country of residence, who are or were non-EU citizens and who are holding or renewing a legal immigrant status in the new country of residence. However, in order to have a more complete picture, I presented the naturalisation rate of all foreign citizens and of non-EU foreign citizens only, on the one hand, and the proportion of all foreign citizens and of non-EU foreign citizens only, on the other hand, however, bearing in mind that only the data on non-EU foreign citizens are employed in the empirical analysis. As expected, the data show that non-EU foreign citizens are more interested in acquiring the citizenship status of the new country of residence, compared to all foreign citizens, and that, conversely, the proportion of non-EU foreign citizens is lower if compared to that of all foreign citizens living in the six European countries considered in this study. Of the countries represented here, Italy and Spain show the highest number of years required for foreign citizens to be naturalised. As already noted, non-EU, first-generation immigrants who intend to acquire Italian or Spanish citizenship require 10 years of residence. EU citizens only require 4 years of legal residence, but this does not seem to be encouraging Romanians, the largest immigrant group residing in Italy, to ask for Italian citizenship and therefore increase the Italian naturalisation rate, as can be deduced from the comparison between the naturalisation rate of all foreign citizens and that of non-EU foreign citizens only (1.45% and 1.77%, respectively). Spain and Portugal have high naturalisation rates and proportions of foreign citizens. This is because of Spanish legislation allowing some nationalities coming from former colonies to acquire citizenship after 2 years of uninterrupted legal residence without losing citizenship of their country of birth. Similarly, citizens of the following former Portuguese colonies are entitled to Portuguese citizenship if they were born during the period of Portuguese rule: Angola, Cape Verde, Portuguese India, Guinea Bissau, East Timor, Macao, Mozambique, and São Tomé and Principe. Indeed, Portugal has the highest naturalisation rates amongst the considered countries (5.22% and 6.58% for all foreign citizens and non-EU foreign citizens only, respectively). In the same way, the Italian citizenship law (Law n. 91/1992) establishes that the foreign descendant until to the second degree of an Italian citizen can acquire the Italian citizenship at the age of 18 and after having lived in Italy for at least 2 years. These special citizenship regimes may influence the likelihood of acquiring the citizenship status in the country of residence amongst young and adult immigrants. With the exception of Italy (the survey does not provide information about the bloodline of the respondents), this effect will be controlled with the variable former colony. Finally, Germany’s citizenship policy appears to be one of the most restrictive in Europe, requiring 8 years of residence for naturalisation: as a consequence, despite the high proportion of foreign citizens (9.05%), Germany has an extremely low naturalisation rate (1.52%), which however increases if we consider non-EU foreign citizens only (2.37%). As my focus is on immigrant citizenship status as the result of both individual factors and policy factors, my first idea was to use a multilevel logistic model, to analyse differences in the probability of having citizenship status in the country of residence amongst young and adult immigrants as the result of variations in the two different levels of independent variables. Level 1 variables are the individual characteristics of the immigrants and level 2 variables are the characteristics of the country. As generally acknowledged (e.g. Goldstein, 1999), the multilevel modelling technique is used to assess the effects of macro-level characteristics on individuals because this method uses data in which units at one level are nested within the units at the next level (Guo & Zhao, 2000; Hox, 1995). Nevertheless, some concerns raised from the fact that the multilevel analysis was limited to six countries. In fact, ‘if the number of groups is small, and even if the group sizes are large, estimates of the variance component and of their SEs are imprecise and likely to be biased downwards’ (Bryan & Jenkins, 2016, p. 7). Although the mean immigrant sample size per country was rather high (Simonsen, 2017), six countries were not enough to avoid unbiased results (Bryan & Jenkins, 2016; Mills & Präg, 2016; Stegmueller, 2013). Given these considerations, I opted for a cluster-robust analysis and therefore for a logistic regression model with cluster-robust standard errors. Cluster-robust analysis is used when data are grouped into clusters, with model errors uncorrelated across clusters but correlated within clusters (Cameron & Miller, 2015). Therefore, when individual-level cross-sectional data are clustered into geographical areas, such as country, to control for within-cluster error correlation is very important in order to obtain accurate standard errors and, thus, precise estimates. 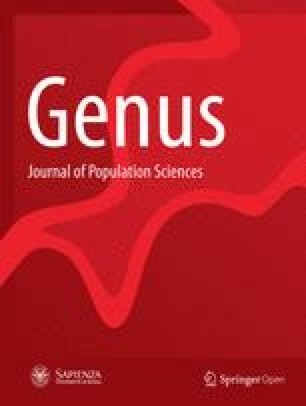 To analyse differences in the likelihood of citizenship status in the country of residence in young and adult immigrants residing in six European countries as a result of variations in individual and policy factors, a logistic regression model with cluster-robust standard errors has been performed. The results of this analysis are presented in Table 5. However, before starting to interpret the odds ratios, it is important to point out that individual- and country-level measures have a mutual conditioning effect on the acquisition of citizenship status amongst young and adult immigrants residing in Europe. In particular, as regards the individual-level measures, since heterogeneous factors have been taken into account, I argue that they may be selective of immigrants who are more prone to acquire citizenship status in the country of residence and that they may also produce attitudes and values which increase an immigrant’s likelihood of acquiring citizenship status in the country of residence. However, the data do not allow us to empirically test whether the relationship between individual-level measures and citizenship status is selective or causally influenced (Axinn & Thornton, 1992). Findings on gender show that females are more likely to have citizenship status than males. According to international literature (e.g. Itzigsohn & Giorguli-Saucedo, 2005), females are more likely to experience positive incorporation into the host society than their male counterparts, they are more likely to intend to remain permanently in the country of residence and, therefore, more likely to naturalise. As for marital status, results show that those immigrants who are single, living with a partner, legally separated, divorced or with have had a civil union dissolved are less likely to have citizenship status than immigrants who are married or in civil unions. Literature has highlighted the positive association between family stability and naturalisation (e.g. Yang, 1994). In particular, family stability indicates the presence of social capital (i.e. family networks), more contacts within the country of residence, long-term and stable residence, less intention of returning to the country of origin and, therefore, successful integration into the country of residence (Barbiano di Belgiojoso, 2016). As regards the area of origin, immigrants from Sub-Saharan, Latin American and Eastern European countries appear to be the most likely to have citizenship status in the new country of residence. A special naturalisation regime provided for Latin Americans, the ethno-cultural and geographical proximity to the country of origin of both Latin Americans and Eastern Europeans (Cesareo & Blangiardo, 2009; Piché, 2004) plus the more deprived and precarious living conditions in the original country characterising immigrants coming from Sub-Saharan countries, are the relevant factors that explain this result. Similarly, immigrants from a country which was formerly a colony of their new country of residence appear to be more likely to have citizenship status in their new country of residence than immigrants from a country which was not a former colony of their new country of residence. Former colony, which depends on colonial and post-colonial ties between the countries of origin and residence, and which ‘make the former colonial state a preferred destination for people from the former colonies’ (Vezzoli & Flahaux, 2017, p. 3), can mean use of the same language by both foreign and native citizens. This can help to reduce the risks of social marginalisation and economic and professional segregation, increasing, for example, the chances of being employed in medium and highly skilled jobs and, more generally, of achieving successful integration into the new country of residence (Penninx, 2003). As for the human capital variables, findings for the current economic situation show that immigrants who are homemakers or other and are retired, sick or disabled are less likely to be naturalised than those who are employed. This result can be interpreted in the light of the neoclassical theory of migration (e.g. Todaro, 1969) according to which immigrants who are not employed face more problems in actualising their immigration and integration goals. They are therefore less equipped to apply for, and obtain, citizenship status in their new country of residence. As is predictable, a worse perceived financial well-being decreases an immigrant’s likelihood of having citizenship status in the new country of residence. Perceived financial well-being is a subjective indicator of integration, which can be considered a proxy for income and participation in the labour market. It affects an immigrant’s legal status and mobility in the country of residence. Income and participation in the labour market can particularly affect an immigrant’s ability to become established in the host country, in terms of legal residence and stable labour conditions (Morris, 2001), as well as affecting their chances of becoming part of the host society and thus enjoying citizenship rights. Moreover, a definite annual income can be a prerequisite for naturalisation, as is the case of Italy (Busetta, 2016; Paparusso, Fokkema, & Ambrosetti, 2017). However, it is important to note that both the current economic situation and perceived financial well-being variables may be hindered by the selection process, which singles out immigrants who are successfully integrated for the acquisition of citizenship status. Moreover, in paid work, immigrants could show higher financial well-being compared to immigrants who are homemakers or other and are retired, sick or disabled; therefore, results could be, to a certain extent, biased. As far as the lower likelihood of naturalisation of homemakers, who generally are migrants reunited to partners who are already in the country of residence, results will be clarified by the variable status on entry, which will be discussed below. Education has a positive effect on the citizenship status of immigrants: those who are more educated are more likely to have citizenship status than those who are less educated. This result supports the position in the public debate in Europe which argues that citizenship rights should only be granted to immigrants who can demonstrate that they have fully integrated and that they fulfil high integration requirements, such as further education and professional careers (Crul, Schneider, & Lelie, 2012; Schneider & Crul, 2010). As far as the ‘immigration’ variables are concerned, the number of years since migration influences an immigrant’s likelihood of naturalisation, as recently highlighted by Peters et al. (2015). Thus, the more years they have lived in the country of residence, the higher the likelihood that they will have citizenship status. Moreover, 1.5-generation immigrants are more likely to have citizenship status than first-generation immigrants. This result supports the literature on integration studies, which argues that immigrants who arrive at a younger age are more integrated into the country of residence than immigrants who arrive at an older age (Portes & Rumbaut, 2001). Indeed, immigrant generation is considered a crucial component of the integration process (Piché, 2004). In particular, previous studies show that migrating at an early age can facilitate the process of incorporation, increase the sense of belonging and the political participation in the host society and encourage the acquisition of citizenship status in the new country of residence (e.g. Portes & Rumbaut, 2001). As for the status on entry, results show that migrant families are the most likely to naturalise. Family reunification is a ‘key source of immigration’ (Bosswick & Heckmann, 2006, p. 19). In particular, it is one of the major entry channels into European countries, especially for Mediterranean countries (Reyneri, 2001). Family reunification generally implies that, having migrated to join family members, the immigrants intend to settle permanently in the new country of residence, although with some exceptions to this behaviour that may depend on immigrants’ country of origin, family migration models and projects, as recently found by Barbiano di Belgiojoso and Terzera (2018). Moreover, family formation facilitates the naturalisation of immigrants and their descendants in European countries. Humanitarian immigrants also have a strong motivation for acquiring citizenship status in the country of residence as it might give them more safety and freedom of movement; they will have had to leave their own country for safety reasons. When policy factors are considered, the results show that the residence requirement for naturalisation decreases the likelihood of immigrants residing in European countries to naturalise. A requirement for a higher number of years for naturalisation can reduce the desire of immigrants to apply for citizenship status and reduce their chances of obtaining it. Conversely, toleration of dual citizenship by the country of residence is not statistically significant. As regards the naturalisation rate and the proportion of foreign citizens, results show a positive effect on the likelihood of having the citizenship status, since they are synonymous with countries of residence, which are inclusive and proactive towards immigrants and their descendants. The aim of this paper was to examine the effect of both individual characteristics and measures of national citizenship policies on the likelihood of citizenship status amongst young and adult immigrants living in European countries. Specifically, our research questions were as follows: Which factors influence immigrant citizenship status the most? Do national citizenship policies affect the citizenship status of immigrants living in European countries? Are the traditional national immigration and integration models helpful in interpreting the results? I have responded to these research questions by performing a logistic regression model with cluster-robust standard errors on selected European countries using the data of Immigrant Citizens Survey. This kind of statistical analysis is used when cross-sectional data are grouped into clusters, with regression model errors independent across clusters but correlated within clusters (Cameron & Miller, 2015). The empirical analysis highlighted the considerable effect of individual characteristics on citizenship status. In particular, higher family stability, educational attainment, current economic situation, perceived financial well-being, duration of residence and coming from a country that is a former colony of their new country of residence appear to increase the likelihood of citizenship status amongst immigrants living in Europe, as they are synonymous with a consolidated process of integration into the country of residence. However, the effect of policy factors is also important. In particular, a lower residence requirement for naturalisation and a more inclusive environment favour immigrants becoming citizens of the new country of residence. These conditions seem to be characteristic of countries belonging to the French integration model, where there is a more balanced relationship between a low number of years of residence required for naturalisation, a relatively high naturalisation rate and proportion of foreign citizens compared to other countries. Therefore, this seems to be an optimal mix for promoting the acquisition of citizenship status amongst young and adult immigrants. Indeed, the acquisition of citizenship status by immigrants perfectly reflects the French integration model, according to which ‘members of some cultural community abandon at least some of their customs and practices’ (Mason, 1999, p. 266). The French ‘Contrat d’accueil et de l’intégration’, introduced by the first Sarkozy Law of 2003 but made compulsory in 2007 after the second Sarkozy Law, and the ‘Integration Contract’ recently included in the Belgian ‘Citizenisation’ policy show that the introduction of civic requirements has not been challenged by the shift from assimilationist to anti-discrimination policies. Ultimately, immigrants do not start to resemble native citizens by just adopting similar social, economic and cultural behaviours, but also by acquiring the same rights and duties. In this regard, citizenship status helps to reduce differences between foreign and native citizens, a marker of the integration paradigm. Conversely, despite the special treatment of foreigners coming from former colonies in Spain and Portugal, and therefore the high naturalisation rate and proportion of non-EU foreign citizens in these countries, Southern European countries are characterised by a ‘subordinate integration’ (Ambrosini, 2005). Integration is mainly restricted to those segments of the labour market, where there is a strong demand for unskilled and temporary work, which does not (yet) conform with a process of granting immigrants the same civil and political participation as the native citizens, as indicated by citizenship status. This is a distinctive feature of the Southern European countries, contributing to the definition of the aforementioned ‘Southern European model of integration’. As far as Italy, this kind of approach towards integration becomes even more problematic if we consider that a turn towards the social and cultural dimension of integration has occurred in the last decade (Paparusso, 2016). As a result of a long process started with the ‘Carta dei valori della cittadinanza e dell’integrazione’ (‘Charter of the values of citizenship and integration’), introduced by the Home Affairs Minister Giuliano Amato during the II Prodi Government in 2006, the Security Package (Law 94/2009), approved by the IV Silvio Berlusconi Government in July 2009, has institutionalised the importance of learning the Italian language and about Italian history and culture as a prerequisite for a positive and active inclusion of immigrants into the Italian society. Accordingly, few days after the entry into the Italian territory, immigrants have to sign an ‘Integration Agreement’2 in order to obtain the permit of stay. One month before the expiration of the Agreement, the knowledge of the Italian language, civic culture and civil life have to be sufficiently proved by the immigrant through a test, whose failure means the denial of the permit of stay. Moreover, successfully passing a language test is amongst the requirements asked to immigrants who apply for the residence permit for long-term residents. Generally, the integration of immigrants is considered the final step of a successful and durable process of residence in the country of destination. With civic integration, the ability of immigrants to demonstrate to be integrated through the success in language and civic courses becomes a prerequisite of their entry and residence in the host country (Carbone, Gargiulo, & Russo Spena, 2018; Vitiello, 2017). By this way, the relationship between immigration and integration has been inverted. Integration and immigration policies have been inextricably linked, with integration that has been made functional to the entry and the residence of immigrants in a foreign country and that has been placed amongst the instruments and the policies of immigration control (Paparusso, 2017). Moreover, according to the ‘subordinate integration’, immigrants ‘should stay behind, giving priority to Italians for the access to the most skilled jobs, as well as to scarce social goods, such as public housing’ (Ambrosini, 2004, p. 17), but they must follow a quite demanding path to enjoy the citizenship rights, demonstrating an in-depth knowledge of the Italian language, the Constitution, society, institutions and national customs to regularly reside and integrate in our country, if civic integration is applied. This is an important paradox for a country whose immigrants represent a mature component of its population and a pervasive trait of its society. This study has some limitations. Firstly, it does not take into account the behaviour of multiculturalist countries as regards the concession of citizenship rights to immigrants. The academic literature (e.g. Duyvendak & Scholten, 2011; Kymlicka, 2012) has shed light on the debate about the effectiveness of multiculturalism in achieving its intended effects, especially in granting immigrants equality and emancipation (Koopmans, 2010). In particular, one research strand argues that since they emphasise ethnic and cultural particularisms, multicultural policies risk ‘reinforcing ethnic stratification and ethno-cultural conflict’ (Bosswick & Heckmann, 2006, p. 5), producing isolation and discouraging the process of reducing gaps between nationals and non-nationals. Such considerations point to the need for more detailed analysis of how holding citizenship rights works in a multiculturalist context. Indeed, the dataset covers six European countries. For instance, Nordic countries, such as Sweden, Finland and Norway, whose immigrants usually show higher levels of integration (MIPEX, 2015), are excluded. Secondly, the source used collects sample data from metropolitan cities; therefore, the sample is representative of immigrants who reside in urban areas. This aspect should be taken into account when interpreting the empirical results: the likelihood of citizenship status amongst young and adult immigrants and the associated factors is not independent by the fact of living in urban contexts, where, as occurs for other integration processes, the opportunities of acquiring the citizenship status may be higher compared to rural areas (Balbo, 2009). Thirdly, as largely discussed in the paper, civic and language requirements have become central in citizenship policies in European immigration countries (Paparusso, 2016); nevertheless, as already noted, the variables that controlled for these factors at both individual and national levels and that I called having attended a civic or language course and civic integration respectively, were not statistically significant. Moreover, data refer to people not born in the country of residence, who are or were non-EU citizens and who are holding or renewing a legal immigrant status in the new country of residence. Therefore, results emerged by this work are not applicable and generalizable to all immigrants living in all Europe and can be drawn only partial policy conclusions. Finally, the study is based on a cross-sectional survey conducted in the country of residence, which means that immigrants who left the country of residence are not accounted for. In other words, there may be a self-selection bias and any causal interpretation is not allowed. Future studies could benefit from a longitudinal perspective. These limitations notwithstanding, I believe that this study sheds important light on the individual-level characteristics and measures of national citizenship policies linked to the acquisition of citizenship status amongst young and adult foreign-born immigrants living in some of the most consolidated countries of immigration and may contribute to a better understanding of these dynamics in other contexts. Moreover, the proposed results are consistent with the idea that for the construction of a comprehensive European migration policy the acquisition of citizenship for young and adult foreign-born immigrants is essential. I also considered the variable having attended a civic or language course, but it was not statistically significant. The ‘Integration agreement’ (in Italian ‘Patto per l’integrazione’) has been approved by the IV Silvio Berlusconi Government in 2009, but has entered into force in March 2012. The recent ‘Salvini’ Decree on Immigration and Security (Law Decree n. 113/2018) has confirmed civic integration amongst the requirements of residence in Italy. I would like to express my gratitude to Elena Ambrosetti, Salvatore Strozza and Mattia Vitiello for their thoughtful comments and suggestions on earlier versions of this paper. I would like to thank the two anonymous reviewers for their constructive comments that greatly improved the manuscript. All the errors are entirely mine. The dataset analysed during the current study is available upon request at: https://www.migpolgroup.com/_old/diversity-integration/immigrant-citizens-survey/. Eurostat online dataset. https://ec.europa.eu/eurostat/data/database. Accessed 3 May 2018. MIPEX (2015). http://www.mipex.eu/. Accessed 15 June 2018. Neureiter, M. (2018). Evaluating the effects of immigrant integration policies in Western Europe using a difference-in-differences approach. Journal of Ethnic and Migration Studies. https://doi.org/10.1080/1369183X.2018.1505485. Simonsen, K. B. (2017). Does citizenship always further immigrants’ feeling of belonging to the host nation? A study of policies and public attitudes in 14 Western democracies. Comparative Migration Studies, 5(3). https://doi.org/10.1186/s40878-017-0050-6.